1. It’s a fun, new kids’ comedy show, starring a terrible babysitter! 2. It’s at the beautiful Melba Spegieltent in the heart of Collingwood! 3. It’s about celebrating the alternative role models in kid’s lives – Aunties, Uncles, Grandparents, Babysitters, Neighbours, chosen family – everyone! 4. It’s about making mistakes and how we learn from them! 5. There’s a bit where we play Ninja Fart Warrior that is very, very funny! 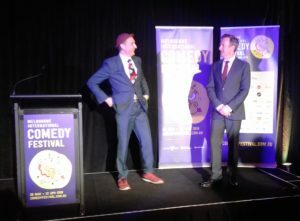 Between a Bok and a Hard Place, could easily fall into the trap of becoming a textbook, meta how-to guide for creating a Comedy Festival show. What Lauren Bok delivers, however, is an hour of energetic comedy that mocks the ever exhausting business of creating art for commerce. Shows that poke fun at the mechanics of creativity or err on the line of the self referential show about making a show risks isolating an audience, but Bok’s child like nature and charm, and some initially awkward, but ultimately satisfying crowd work keeps us included. Bok’s boldness to fold crowd work in throughout the show keeps us warmed to her for the duration – even if it takes a few members of the audience a long pause and a bit of dead air to get on board with admitting they want her to sleep with them. Bok’s irreverence for press kits, creating the perfect comedy poster, or the business mechanics of show business as a whole keeps us engaged while her overt physicality reminds us of a child being told to eat her vegetables – that is, she doesn’t want to do it, so she might as well find a way to make it palatable. The joy in this show is found in Bok’s success hacks, such as her trick for blurb writing, and her well handled verbal setups that are more often than not paid off with hilarious physical comedy. The Bellville’s function room is an awkward shaped, but ultimately cozy setting, reminiscent of an 80’s mansions owned by a now incarcerated drug lord – peeling paint, a curved staircase and mirror lined doors that almost seem to encourage and enhance Bok’s ABBA inspired opener. Bok herself, resplendent in her bare feet and oversized KISS T-shirt gives the vibe of an eight year old who has sat her closest family down in the lounge room armed with a box of her toys and her portable boom-box in order to put on a show she’d made up in her back yard an hour before. Her delivery is that of someone who clearly loves to be on stage: gleefully commanding, bold, and fun. It’s a relief to attend a meta show where the comic displays a refreshing enthusiasm that could easily have been lost after a facing the unenviable struggles of stand up comedy. The moments where Bok spoke about day to day life were also well handled: from getting lost on the way to her venue, relatable hair fiasco’s to the faux humility of the fashion industry, Bok’s joyful use of character to pay these insights off is cheeky and silly. With a precise shift of pace and mood toward the end, Bok lets us in on why she bothers to put herself through the rigmarole of creating a show in the first place – which is not to say she doesn’t still handle this with some careful and subtle comedy. A well crafted show by an affable, smart and silly comic – If you’re a comedy nerd looking to gaze behind the curtain and throw some props around, this one’s for you. A Bok in Progress is not your usual work in progress show. While Lauren Bok is genuinely trying out new ideas, this is a work in progress about being a work in progress. 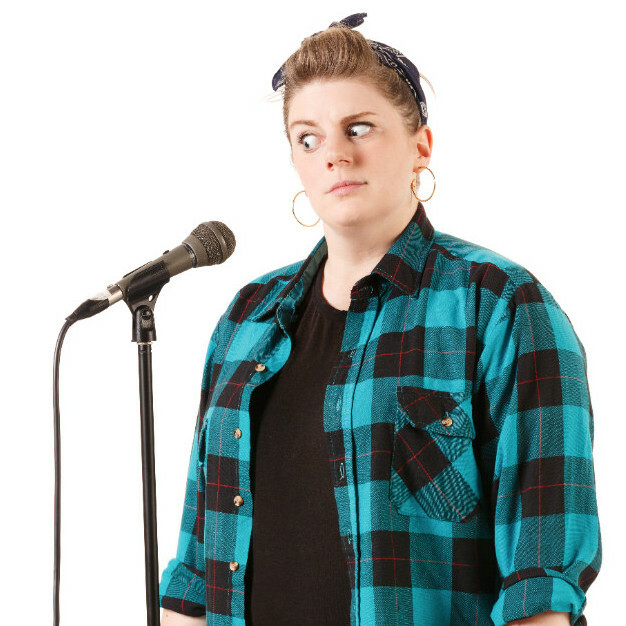 Students of the comedic arts will find plenty of giggles, nay guffaws, as she pokes fun at the creative process and the obstacles put before performers. It’s not all inside jokes as the normals will delight in Bok’s relatable material. There are some clever ideas in this performance. She starts the show with a clean slate and builds upon it with the audience’s help. Those who normally run a mile from audience participation needn’t fear, most of the tasks are administration, holding various props and reacting to ideas. We are taken through the basic building blocks of creating a festival show. 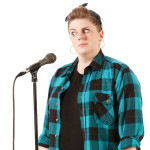 We wade our way through a huge list of pun show titles, see a “scientifically generated” blurb and image, see how intro music sets the stage for various types of comedian and hear a personal story about her creative process. The moments of pure silliness provided the most hilarity as Bok showed off her wonderful physical comedy chops. Her numerous props gave things a touch of whimsy while she pushed some ideas to ridiculous extremes with great results. A serious monologue towards the end was a severe change of pace and mood but fit in perfectly. Thankfully it was broken up with a witty joke about show structure and audience behaviour that was wacky enough for all to enjoy. While she is given some leeway with this being advertised as a work in progress, not all of the jokes land. Getting the crowd to vocalise a rhythm while drumming the beat was a messy way to start, even with it’s cute pay-off. The blurb generated by algorithm was so long and nonsensical that it evoked bewilderment rather than laughs. 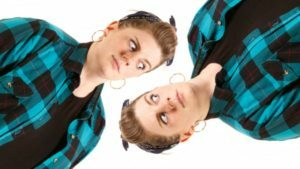 These interesting ideas are sure to be licked into shape in the future and Melbourne Fringe is the perfect place to try them out. There are enough laughs here already to satisfy and this has got to be one of the shows that embraces the spirit of the Fringe. 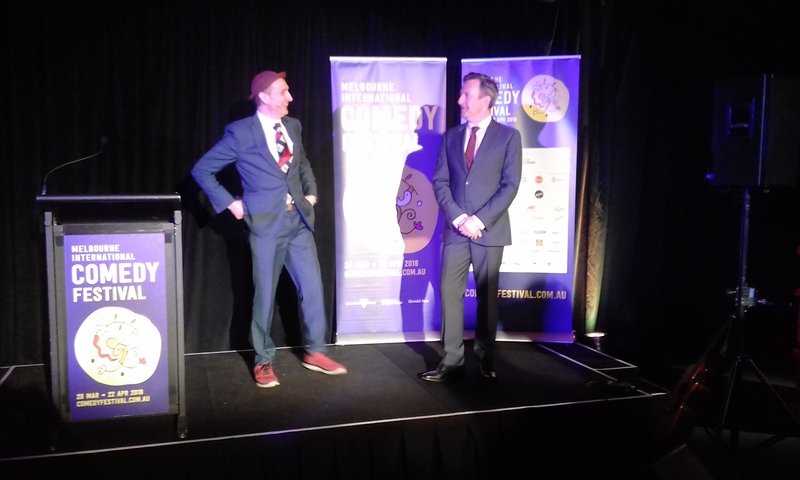 We were actually quiet surprised when our little show had quiet a successful world premiere at this year’s Melbourne International Comedy Festival. We had wonderful reviews, great feedback and really supportive audiences. So it seemed only natural to bring the show back for Melbourne Fringe…and at The Butterfly Club, one of Melbourne’s best fringe theatre and cabaret venues. If you missed us at MICF The Mighty Little Puppet Show has puppets in it…but these puppets are like nothing you’ve seen before. What’s unique about our puppets is that they are custom-built, by the extremely talented people at The Puppet Workshop. 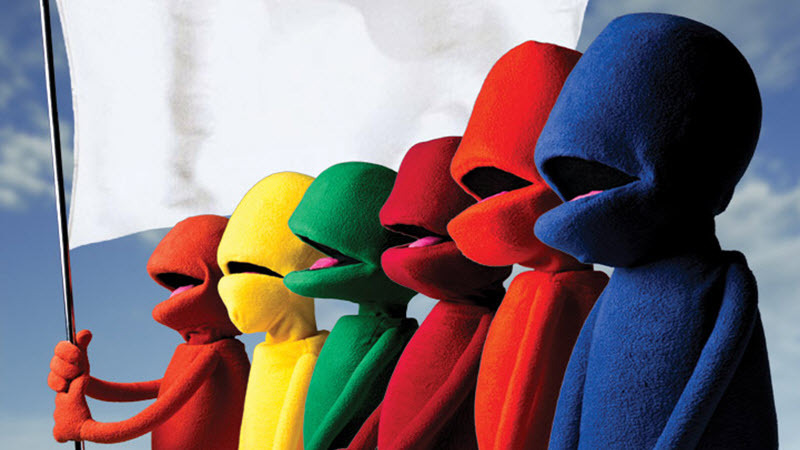 Our puppets (called The Ritas) are brightly coloured and blank-faced, we’ve also had large selection of eyes & noses build that can be attached and removed to The Ritas whenever we want. Meaning we can create new and interesting puppet characters for every performance. 3. It is an improvised show! Yup…every show will be improvised so no two shows will be the same. The Ritas were specifically created because The Mighty Little Puppet Show is completely improvised. We wanted our puppets have the potential to be just as spontaneous as the scenes they will be in. 4. We have a NEW stellar line-up of Special Guest Stars! We were fortunate to have some of Melbourne’s most respected, popular & experienced performers guest star with the Ritas for our Comedy Festival season. This Fringe is no different, we have assembled a stellar line-up of stars from the Melbourne Comedy scene, who are ready to raise hell with our puppet crew. -Lliam Amor, Elly Squire, Ross Daniels, Damian Callinan, Dilruk Jayasinha and Lauren Bok. 5. We have NEW members to our amazing troupe of impro-puppeteers! We are very excited to welcome three new cast members to this Fringe season. -Hallie Goodman (an puppeteer & improviser from New York how has worked with The Improv Conspiracy). -Amanda Knights (A regular performer with Impro Melbourne & First Draft Theatre). -Danny Alder (An actor/improviser who was seen in Eastenders & was a regular performer with impro/comedy troupe The Crew). They will be joining our senior Mighty Little troupe members who will be returning for Fringe duties: Scott McAteer, Caitlin Yolland, Petra Elliott & Rob Lloyd. The Mighty Little Puppet Show is at The Butterfly Club from Monday Sept 19 to 25 – 10pm. No show Friday.